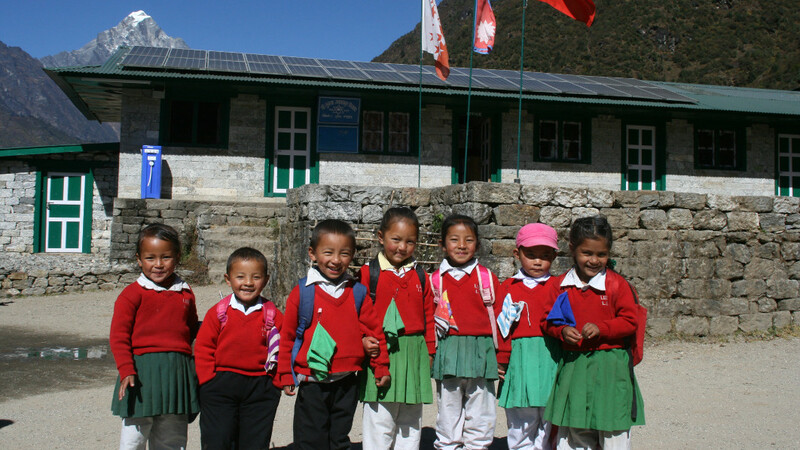 Education provides people with the tools to make them independent and self-sufficient. It enables them to earn better wages, improve their living conditions and provide for their fundamental needs. 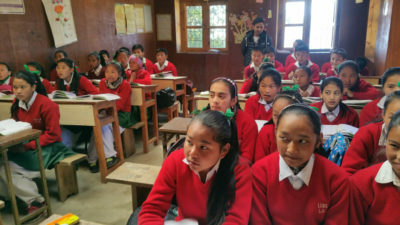 It also leads to gender equality, helping women to be emancipated from the traditional customs whereby girls are meant to stay at home to carry out domestic duties, rather than go to school. 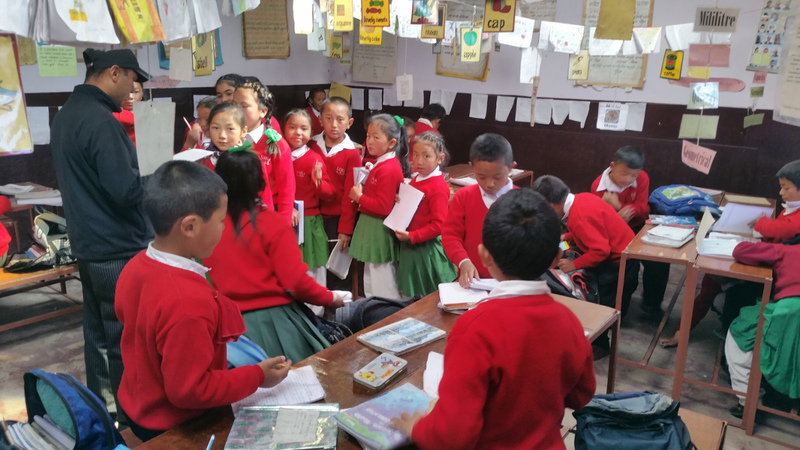 In the two schools we support, education programmes are established by the teachers in accordance with government regulations. 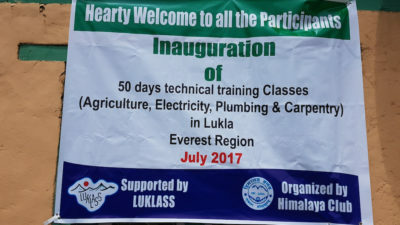 In 2015, a Technical School was launched, giving adults the opportunity to learn a trade through practical exercises in agriculture, carpentry, electricity and plumbing. 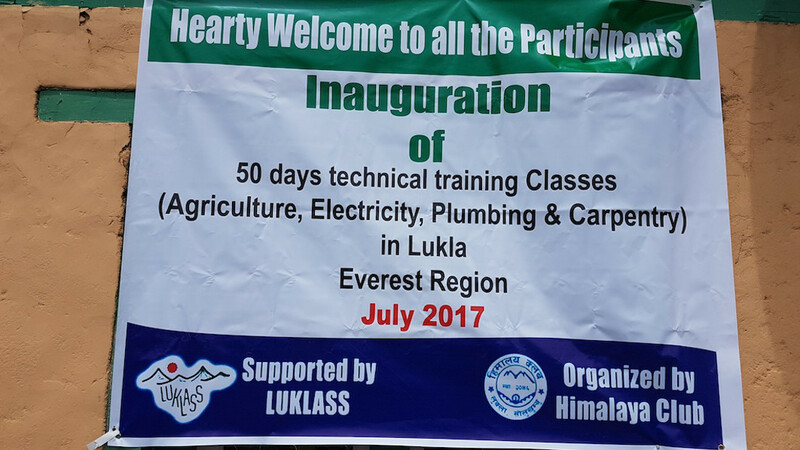 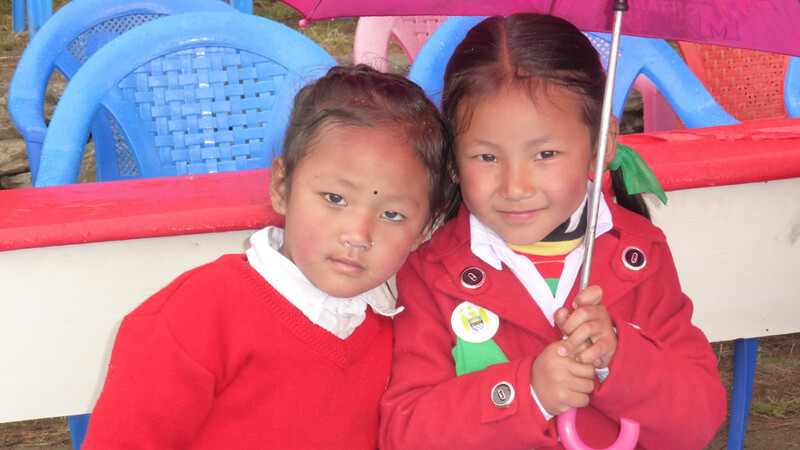 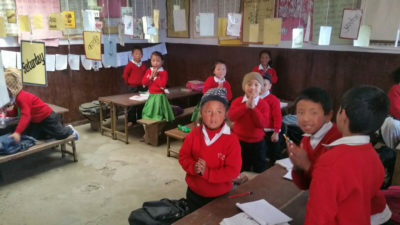 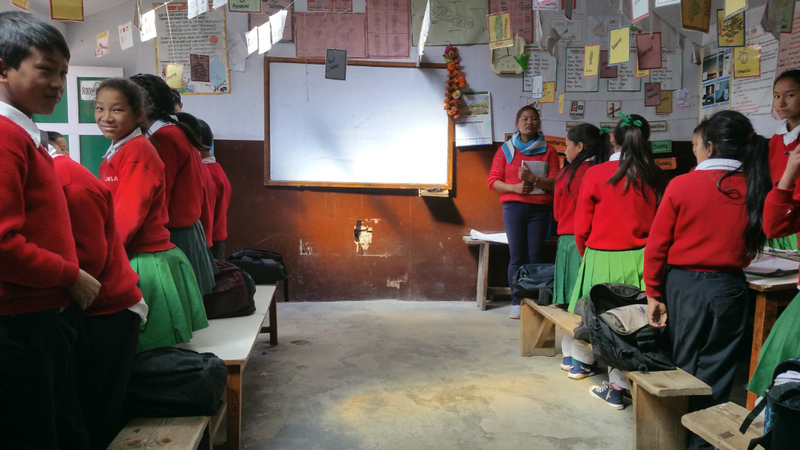 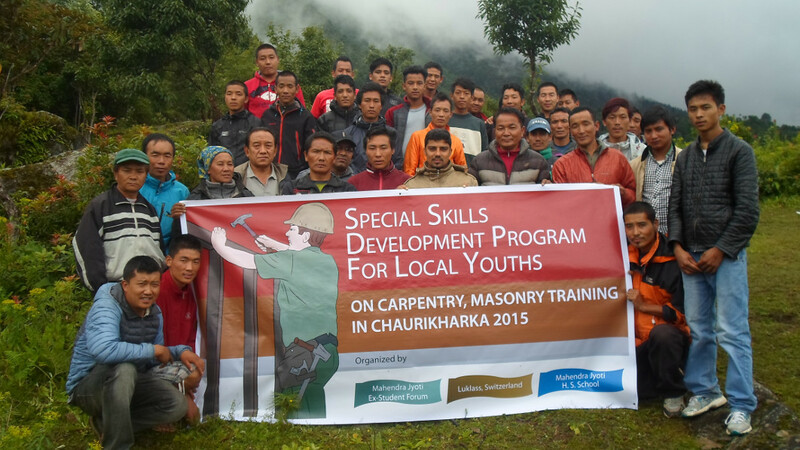 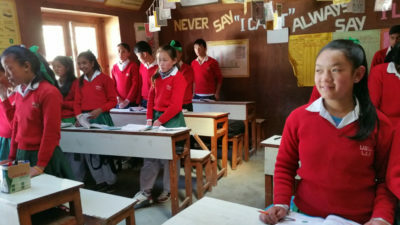 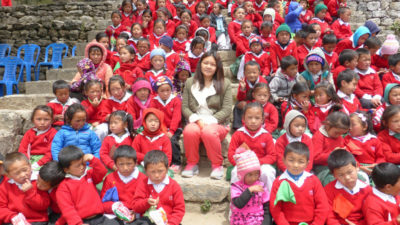 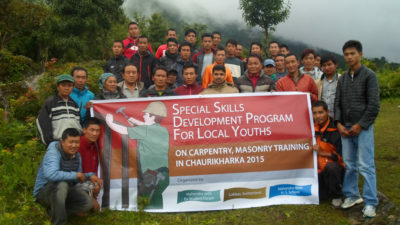 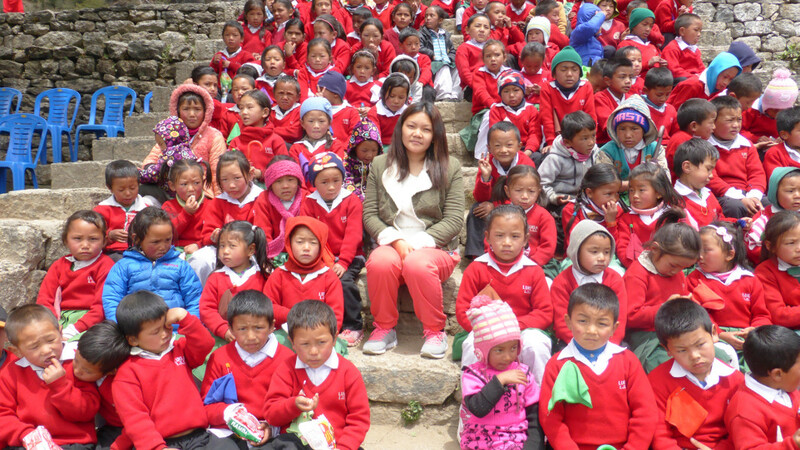 Why a Technical School in Lukla? Because everything: technicians and specialists in all trades, fruit and vegetables have to be brought in from Katmandu. 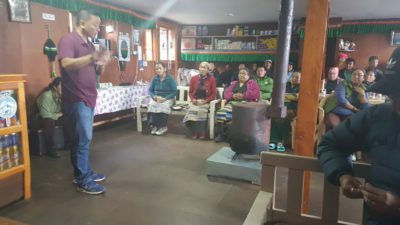 Transport is extremely expensive and time-consuming; assistance for repairs does not arrive quickly, tourists are demanding and demand better services. In the future, we are looking to open a hotel school with the aim of improving lodge and restaurant service and stimulating local tourism. 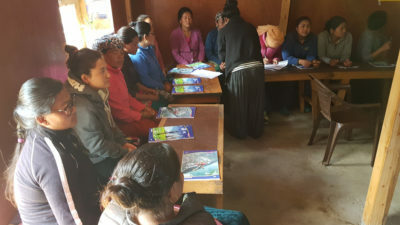 The technical training provides approximately 80 young adults each year with a certain level of specialisation, allowing them to obtain jobs or even start their own businesses. 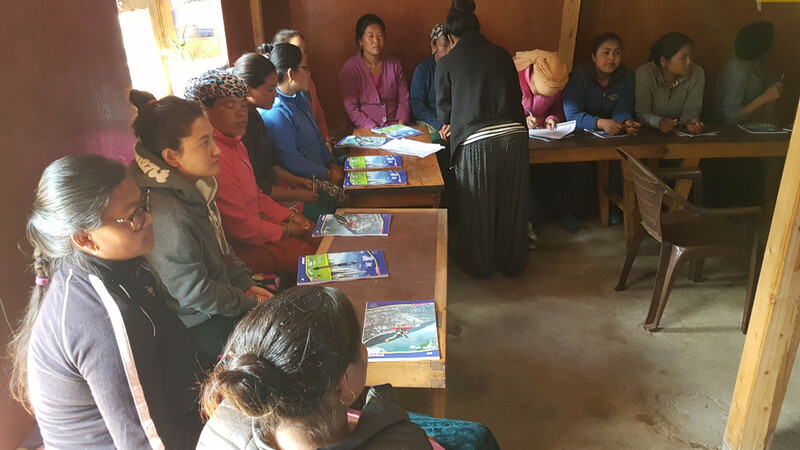 The trades were selected by the population following a survey in the whole district to ascertain local requirements.